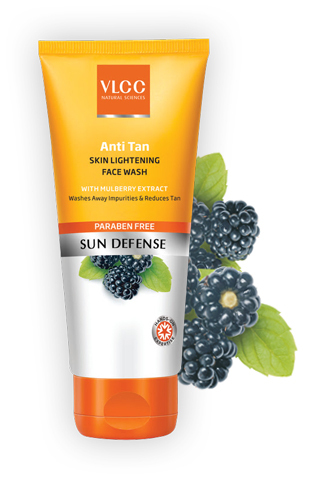 As summer is on its peak and so is the tension of getting your skin tanned in this encroaching heat, well it won’t be a problem anymore as VLCC has the perfect solution for this with its Anti tan face wash that helps in avoiding the tanning of the facial skin and gives you the freedom to step out this summer and enjoy the holiday season up to its fullest . Application – Apply twice daily by gently rubbing on the face and neck for 2-3 minutes and wash it off with cold water. It removes the dead skin cells, provides protection against harmful sun rays and renders your skin spotless, clear, radiant and tan free. Continue usage lightens the skin tone and gradually reduces skin pigmentation.